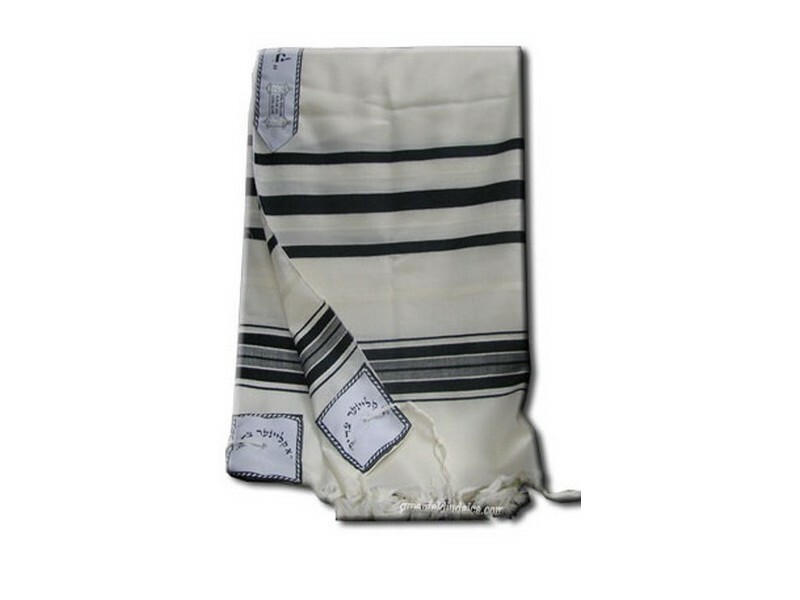 Designed for children ages 3 and up, this children’s tallis is a replica of the traditional full length tallit with black stripes. Any youngster will instantly feel like a real grown-up when their very own beautiful wool look tallis is adorned. The atarah neckband and all four corners have the Yiddish phrase “A Kliener Tzaddik”, a small tzaddik, printed on them, along with a nice and dainty border. The tallis comes ready with handmade tzitzis attached on all four corners. Each tallis includes Rabbinic certification stickers attached.